Nottingham-based Declan James has moved up four places to World No.16 to become England’s No.1 male player in the PSA Men’s World Rankings for November. 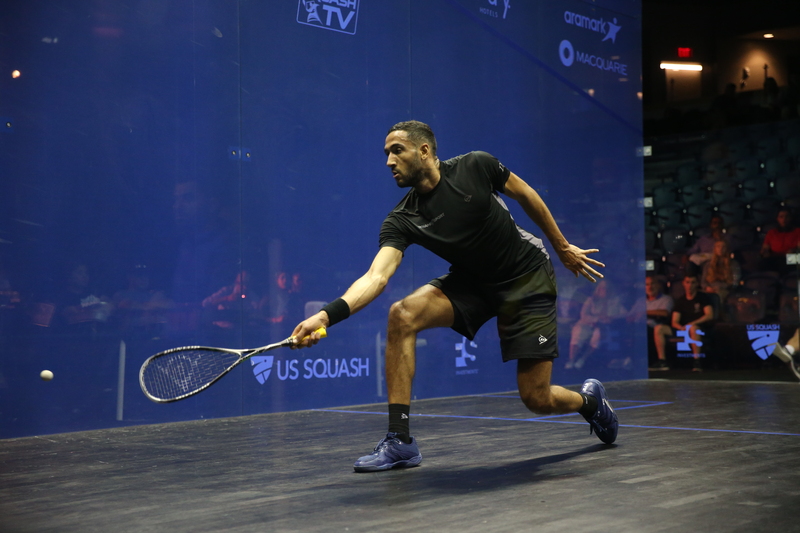 After beating James Willstrop to win the final of the Nantes Open in September, James reached the third round of the FS Investments U.S. Open Squash Championships and the second round of the Channel VAS Championships during October, where he proved to be a stern test for World No.3 Tarek Momen and World No.2 Ali Farag, respectively. Those performances have seen the 6ft 5in James overtake compatriot and former World No.1 Willstrop in the rankings. A delighted Declan took to social media to say: “Humbled to have reached the England number 1 spot this early in my career, especially given the legends who have held that position. Also up to a high of 16 in the world. The current holder of the World No.1 spot – Egypt’s Mohamed ElShorbagy – tops the rankings for a ninth successive month. 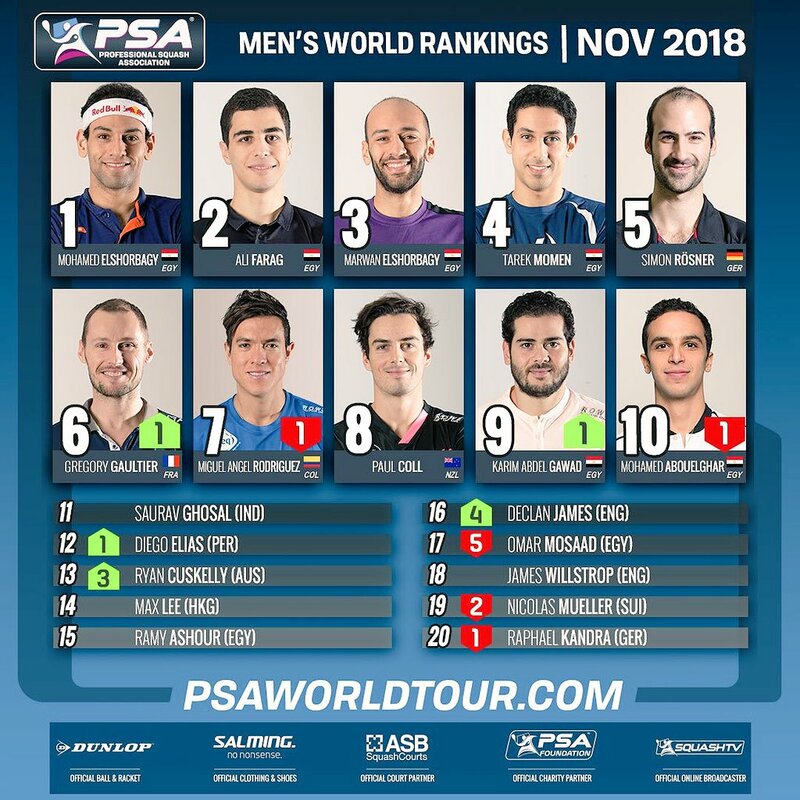 PSA Men’s World Rankings Top 20 – November 2018.